Hello, everybody! It's Cipher again. I am proud to announce that Cryptic Mushroom has released it's first mod! It's not exactly an original mod, because we are reviving/continuing it; but I'm still proud that we've made it this far as a team. 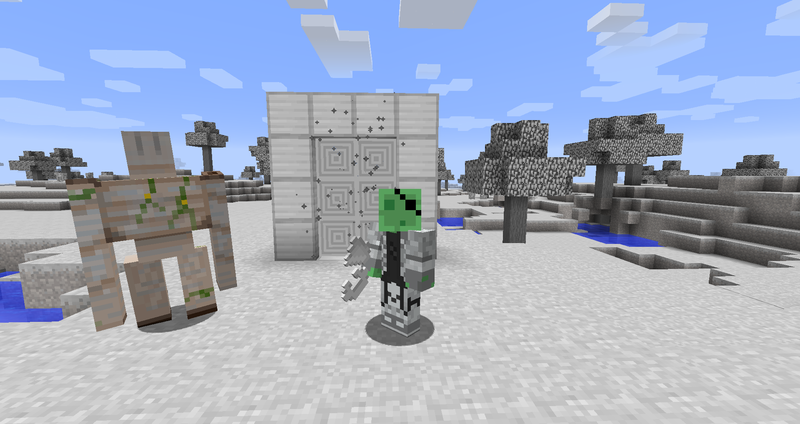 The Iron Dimension mod was first created by bgwoo but died on Minecraft version 1.5.1. Just over 2 weeks ago, I found it again and decided to revive it. Now, it's released! Currently, it only adds a dimension made of iron (iron grass, iron dirt, etc.). Currently, iron golems, cows, and pigs spawn throughout the dimension. All the info you'll need is on the CurseForge page.